If you learn how to care for goldfish, your pets will have a better chance of living a long and happy life. 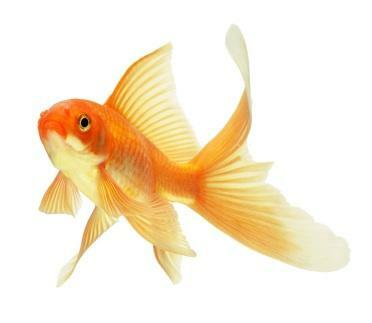 Get goldfish care tips on choosing healthy goldfish, what to feed them, and how to maintain their environment. The first step in becoming a successful goldfish owner is choosing healthy fish from the pet shop. When you inspect the fish tanks at the pet shop, try to take in the entire picture. If the tanks are full of sick or dead fish, the environment is overcrowded or the water is cloudy, you may not want to buy your fish from this establishment. It's never a good idea to choose a healthy-looking fish from a tank that contains sick fish because that fish will most likely come down with whichever illness the tank mates have, including ich which is very contagious. What you want to see are clean tanks with active goldfish and not too many of them in a single tank. As you zero in on particular individuals, look for smooth scales without blemishes, bright healthy coloring, and make sure the fish have undamaged fins. Healthy goldfish have clear eyes, and their fins shouldn't appear clamped. Goldfish are very sociable, so it's usually less stressful for them if they have a tank mate or two. Just make sure you don't purchase more fish than your tank can safely suppot. Understanding how to take care of goldfish includes understanding what goldfish need and setting your fish up in the right environment. They will not only live longer. the tank will be easier to keep clean. The type and size of enclosure is important. Many new goldfish owners unwittingly choose a bowl for their first goldfish's home, but this turns out to be a mistake more often than not. A bowl typically doesn't provide enough room for one goldfish, and there's not enough space for a filter and aeration system to keep the water from turning toxic. Goldfish produce a lot of waste, so it's better to purchase the largest tank you have room for. The general rule of thumb is one goldfish for every six gallons of water. Adding pebbles or aquarium gravel on the bottom of the tank makes the environment look more attractive, and it's essential if your tank has an underground filter. Gravel can also serve as a home for beneficial bacteria that can help break down waste material, so it's a good idea to include a thin layer even if your tank is equipped with a bio wheel filter. In addition to a tank equipped with proper filtration and air flow, the following accessories can also help create a more hospitable environment for a goldfish. A thermometer - This will help you keep track of your tank's temperature. Goldfish prefer a water temperature that ranges between 65 and 68 F.
Tank lid with light - This keeps fish from jumping out, and the light makes it easier for you to view them. A water test kit - This will help you keep your tank water at the proper pH and alert you to spikes in toxins. Water Conditioner - This removes chlorine and chloromines from the water when you perform routine water changes. Rocks and plants - These provide your fish with resting places. Live plants will help absorb nitrogen in the water. Goldfish tanks need a partial water change about once a week, depending on how many fish live in the tank. Once you begin to neglect cleaning your water, your fish will begin to die. Start by scrubbing the walls of the tank or bowl with the scrub brush to remove any algae. Remove 15 to 20 percent of the water and replace it with fresh water that has been treated with a water conditioner. If you need to do a deep cleaning, use the siphoning tube to vacuum out the gravel/rocks. Feed your goldfish twice a day with high quality flakes or pellets formulated specifically for goldfish. Goldfish are notorious for over eating, and they will literally eat themselves to death if you over feed them. A good rule of thumb to follow is to only put in enough food for the fish to consume in five minutes. Remove any leftover food in that tank after that time. Few new goldfish owners are completely successful at caring for their pets in the beginning, and a few casualties usually go along with the learning curve. If you follow the tips offered here, you'll be well on your way to providing a good home for your fish. Continue reading about these beautiful fish, especially the particulars of any type of goldfish that interests you, and put the knowledge and experience you gain to good use.